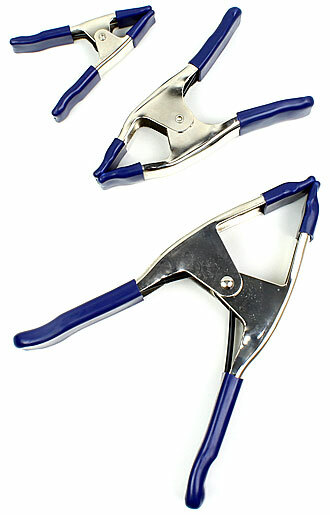 These clamps are cheap and versatile helpers in your workshop. 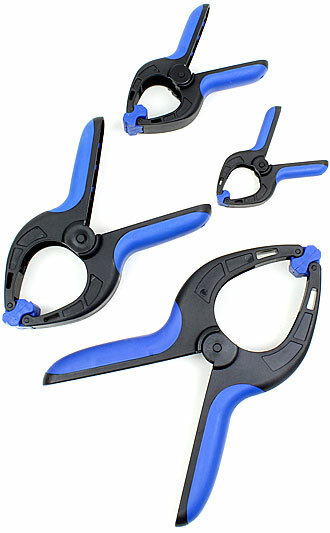 These sturdy plastic spring clamps provide stable and quick clamping pressure. 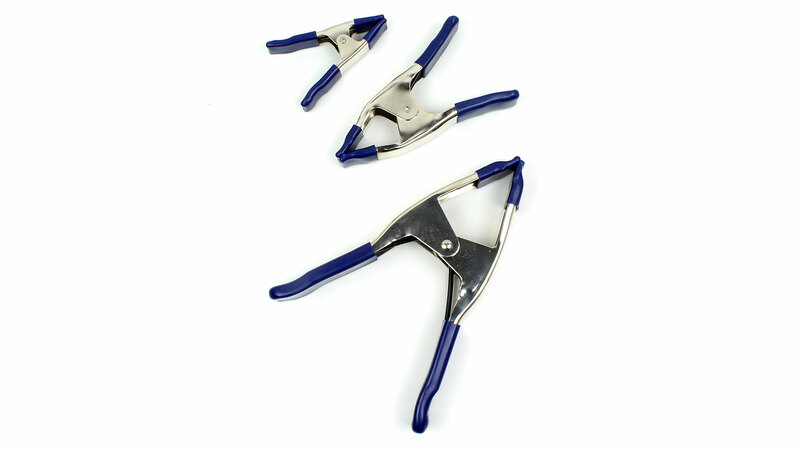 The clamps provide a relatively strong clamping pressure, about 15-16 kg., and are especially useful when one has only one hand free. 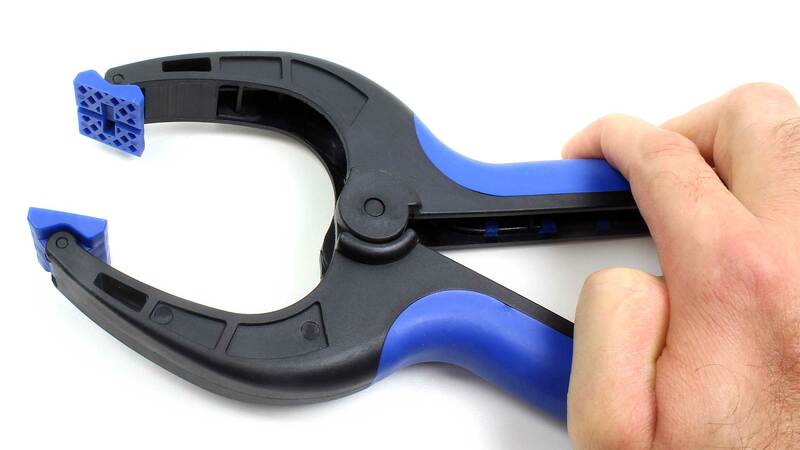 Note: the springs are very strong and frequent clamping and release action can lead to tiredness of your hand! Use this size with two hands! 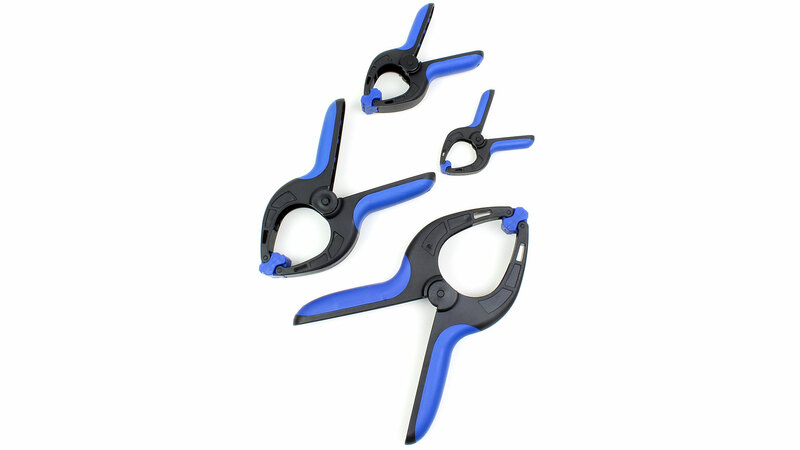 These sturdy steel spring clamps provide stable and quick clamping pressure. The grips and jaws are covered in soft plastic. 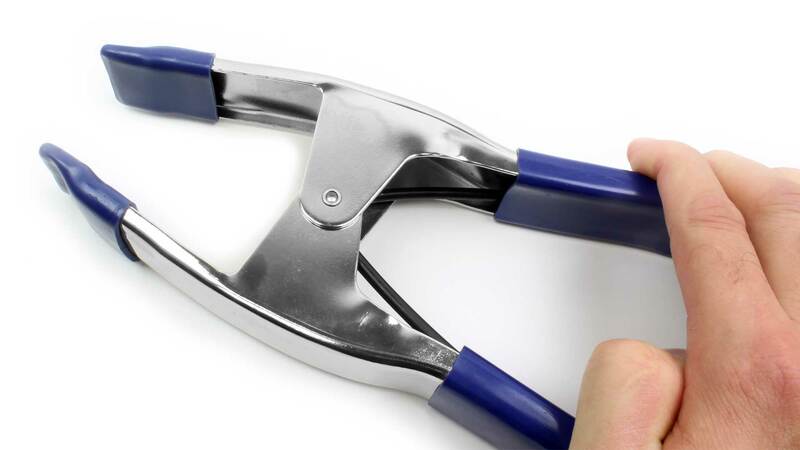 The clamps provide a relatively strong clamping pressure, about 15-16 kg., and are especially useful when one has only one hand free.